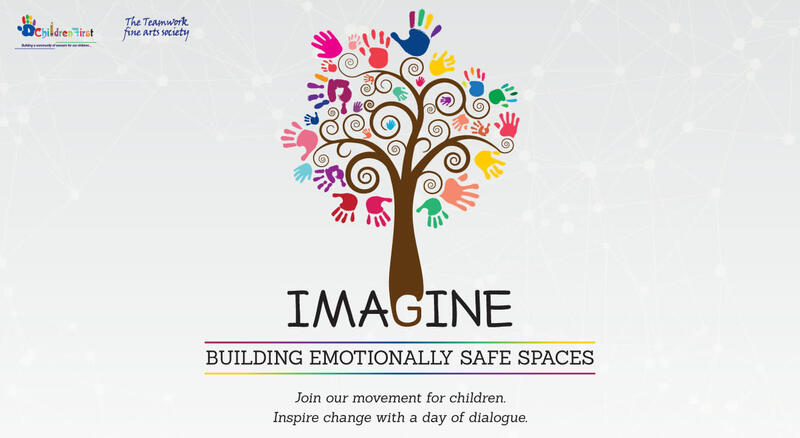 The Teamwork Fine Arts Society, in association with Children First is organizing IMAGINE- a first-of-its-kind conclave to help find solutions to mental health issues impacting children and adolescents. The one-day forum aims to begin a critical and much-needed conversation around building emotionally safe environments for individuals from birth to 25 years of age, especially within the disquieting context of marginalizing experiences like mental illness, disability, sexual orientation and gender issues. IMAGINE’s gathering of influencers will include psychologists, occupational therapists, educators, special educators, psychiatrists, pediatricians, NGOSs and policy makers, participating in debates and discussions, identifying hurdles and seeking solutions. Young people and parents too will join in to share their perspectives.